Mount Ephraim offers all our members an opportunity to grow in Christian service by participating in a number of church ministries. The church supports a number of outreach programs that serve both the church, its members and the community. 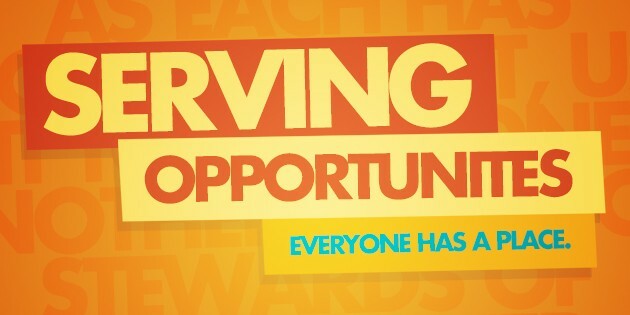 Sharing your time, skills, and talents through service is a way to connect with other church members and directly contribute to the growth of Mount Ephraim. The Board of Christian Education establishes programs and ministries that are an integral part of the church’s ministry and programs. 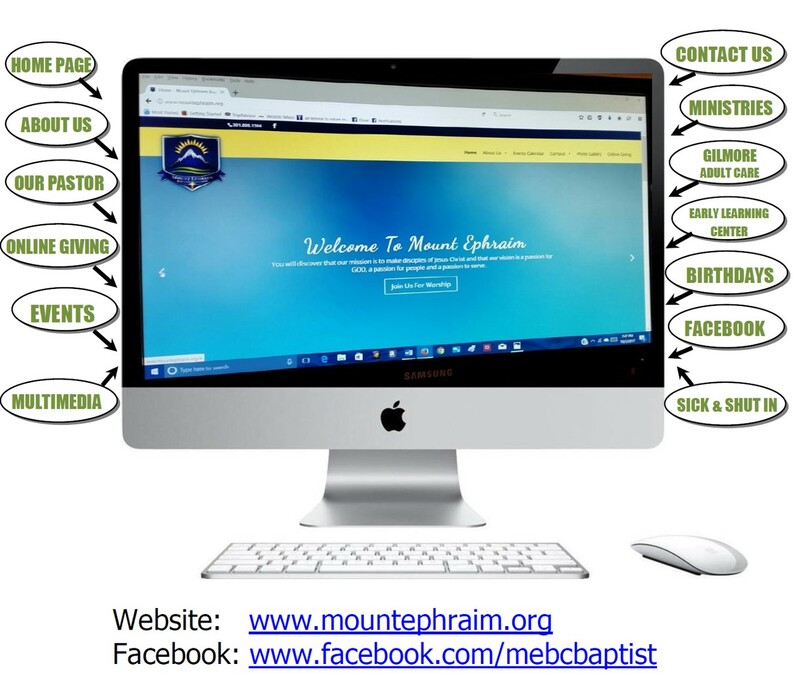 The Christian Education Ministry of Mt. 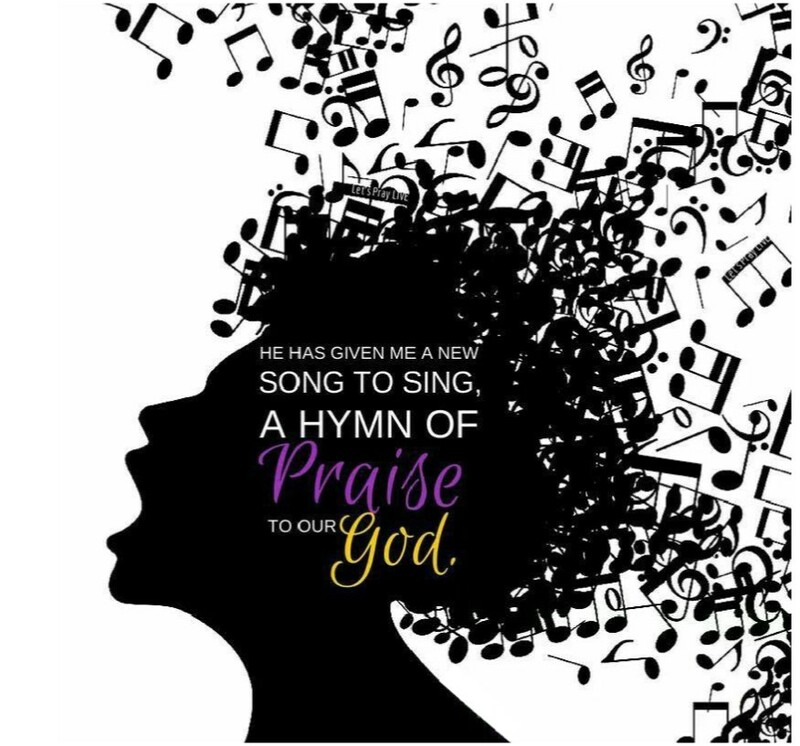 Ephraim Baptist Church edifies the Body of Christ (the Church) through the Holy Scriptures and available Christian educational resources and venues. 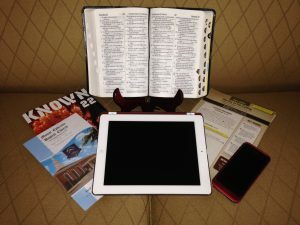 The Ministry will implement Christian media, programs, books, and study materials that will edify the members, unify the ministries, and inspire service within the Body of Christ. The Deacon Ministry of Mt. Ephraim Baptist Church supports whole-heartedly in the mission and vision of the Pastor, in advancing the Kingdom of God, by continuously studying and being edified through the Word, regular attendance at Church, Sunday Church School, Bible Study, and worship services. Deacons are called to SERVE through benevolence; visiting the sick; being alert to the spiritual needs of the congregation (for the purposes of freeing up the Pastor for the ministry of the Word); promoting unity within the church; and, facilitating the spread of the Gospel of Jesus Christ. The Deaconess Ministry of Mt. Ephraim Baptist Church are dedicated, spiritual women of all ages who assist the Pastor and Deacons in the administrative and maintenance aspects of the Worship Service, Communion and Baptism; and, serve when needed, to call on the sick and shut-in church members. The Ministry diligently pursues God’s word through Christian education programs and Bible study, and works toward uniting the congregation and families through benevolent service in outreach ministries, Sunday School and youth programs. The Mt. Ephraim Baptist Church Trustee Ministry, under the leadership and charge of the Pastor, are faithful stewards in the execution and management of the business and financial matters of the church; supervise and direct the internal and custodial affairs of the church; and, are faithful servants at home and abroad, seeking spiritual growth through Christian education programs and venues (i.e. Sunday School and Bible Study). The Ministry will strive to work harmoniously with the Pastor, responding to God’s call in supervising and maintaining all property belonging to God and the congregation, so that the church can be effective within the community and abroad. 1 Peter 5:2 Be shepherds of God’s flock that is under your care, serving as overseers – not because you must, but because you are willing, as God wants you to be. The Bus Ministry of Mt. Ephraim Baptist Church provides for the means of transportation service via the Mt. Ephraim passenger bus in support of church functions, activities and venues, in meeting the travel benevolence to the ministries and congregation when needed or officially requested. The Ministry will provide for the proficient, conscientious, law-abiding transportation service – practicing road and travel safety and precautions – to ministry partners and congregational members. The bus represents Mt. Ephraim Baptist Church and will be used for purposes that seek to further Christian education, fellowship, and unity. The Culinary Ministry of Mt. Ephraim Baptist Church provides meals in support of church functions, activities and venues, and as directed by the Pastor, in meeting benevolence to the congregation in celebration or crisis, and when needed. The Ministry will continue to search for innovative ways to serve the Church, the Pastor, Church members individually and collectively, and to recruit new members in spiritual serving, exhibiting their gifts for the culinary arts, and seeking spiritual guidance through frequent attendance in Christian education programs and classes. The Golden Agers Ministry of Mt. Ephraim Baptist Church is a dedicated support group which embodies the Church mission and Five-Star pledge through nurturing and enrichment of lives for the senior members (60 years and older); fostering spiritual uplifting through fellowship within and outside the church. We will strengthen our ministry by attending workshops and seminars to further develop knowledge in meeting the physical needs of our growing population of seniors, and provide for their fellowship and spiritual growth through attending and participating in Christian education programs (i.e. Sunday School, Bible study) and Worship services. The Hospitality Ministry of Mt. Ephraim Baptist Church promotes goodwill, comfort and generosity to all those visiting the church for service or church functions. The ministry assists the Culinary Ministry in various preparations for church-related functions. The Ministry will exhibit a passion for God, a passion to serve and a passion for people who attend or visit our church, by becoming more creative and innovative in meeting the comfort and needs, and creating a welcoming atmosphere for the congregation and visiting guests. Members will diligently seek spiritual growth through attendance at Worship Service, Sunday School and Bible study. Hebrews 13:2 – Do not forget to show hospitality to strangers, for by so doing some people have shown hospitality to angels without knowing it. The IT Ministry of Mt. Ephraim Baptist Church reaches and informs people of our internal and external communities through information technology and support mechanisms, assisting all ministries as they work to fulfill the Church vision of creating a community of Christ-followers. We will strive to provide state-of-the-art audio/visual media, lighting and infrastructures that proactively meet current and future needs of the ministries in a professional, educational and cost-effective manner. The Love Ministry of Mt. Ephraim Baptist Church generates, promotes and supports the special needs of the Pastor by contributing to his spiritual, moral, physical and financial needs, whenever and wherever possible. The Ministry strives to see that the many needs of the under shepherd of God, our Pastor, are supplied with acts of kindness and financial support through love; always mindful of the importance of his overall well-being as he reaches each victory for our Lord and Master. Colossians 3:12-14…clothe yourselves with tender-hearted mercy, kindness, humility, gentleness, and patience; …forgive anyone who offends you…Above all, clothe yourselves with love, which binds us all together in perfect harmony. The Music and Arts Ministry of Mt. 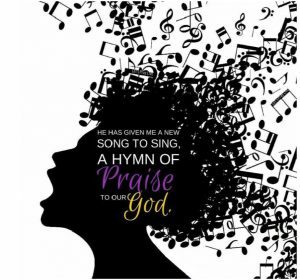 Ephraim Baptist Church shall sing to lift our voices to Christ, proclaim the word of God through music, and minister to all in service through praise and worship; sharing the love and grace of God. Our music will be inspirational as we glorify His mighty name. We will strive to adequately prepare for all services each week, and to foster a feeling of spiritual togetherness when gathered. We will help to spiritually empower the members of the music ministry through training, music workshops and Christian education programs and venues (i.e. Sunday School and Bible Study). The Scholarship Ministry of Mt. Ephraim Baptist Church embraces the mission of the church by providing those who are college-bound and active members, an incentive to strive for higher education; enriches the quality of their lives through educational experiences, thus reaching their full potential. Members of the ministry are encouraged to attend and support Christian educational programs, Sunday School and Bible study, furthering fellowship and outreach. The Ministry provides scholarships to help eradicate some of the financial burdens encumbered upon those members seeking higher education. Funding for the scholarships are generated from the church, donations and fund-raising events. The Sheepfold Ministry of Mt. Ephraim Baptist Church are “the tribes of spiritual fellowship”, serving the congregation through smaller groups where benevolence, communication and spiritual guidance can be administered in a closer, family-oriented environment. The Ministry is committed to supporting its members through regular communications, prayers, spiritual counselling, benevolence and comfort during times of crisis; partnering with outreach ministries, Sunday School, and Bible study to encourage spiritual growth and development; and, upholds the full mission and vision of Mt. Ephraim Baptist Church. The Ushers Ministry of Mt. Ephraim Baptist Church are the doorkeepers for the house of God, and provide prompt, courteous and orderly conduct and comfort during the Worship Service by offering warm smiles and pleasant greetings, seating members and guests, and facilitating the methodic collection of tithes and offerings. The Ministry assists the Pastor during service in times of calm and distress; assists worshippers and guests in navigating to church comfort areas, and in disseminating general information; observes and recognizes special needs during the worship service; and, remains diligent and alert while on duty to ensure the comfort and safety of the Pastor, Ministerial staff, congregation and guests during church services. Members are dedicated to pursuing God’s word and service through Christian educational programs and venues, i.e. Sunday School and Bible Study. The Men’s Ministry of Mt. Ephraim Baptist Church seeks to lead men of all ages to refuge in Christ through Christ-centered relationships, vital relationships with each other, using their spiritual gifts to accomplish God’s will, and to mutually pursue authentic manhood. The Ministry will aim to teach men through Christian educational programs (i.e. Sunday School and Bible Study) and materials to reject passivity, accept responsibility, lead courageously, establish faith, evangelize to the lost, and equip for service throughout the church, the community and the world. The Missionary Ministry of Mt. Ephraim Baptist Church reaches out within the church and into the community to teach the word, feed the hungry, clothe the unclothed and provide hope for the hopeless. 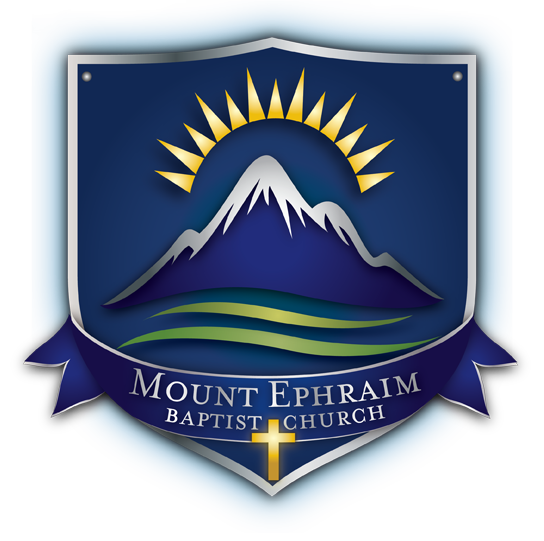 We support Mount Ephraim by providing up-reach (service to God), in-reach (service to the church), and out-reach (service to the community). The Ministry will glorify the Lord in all we do by providing spiritual leadership, witnessing, and education, and encouraging individuals to accept Jesus Christ. We will lead by example in attending Worship Service, Sunday School and Bible Study. We will continually seek to be obedient to the Lord’s direction and guidance, and practice benevolence when and wherever needed. The SHARE Ministry at Mt. 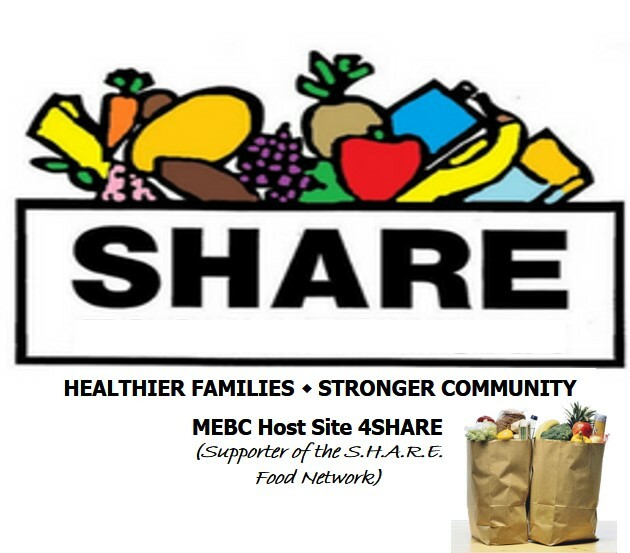 Ephraim Baptist Church is an external/internal benevolence that provides access to healthy, affordable food to everyone, building and strengthening volunteerism, and promoting outreach from the church to the community. 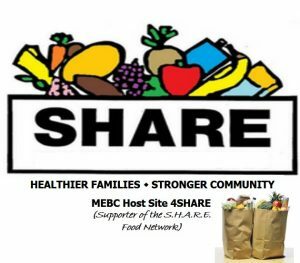 SHARE provides opportunities to strengthen outreach from within the church, working closely with the Missionary Ministry and the community, encouraging partnerships with local organizations. The Women’s Ministry of Mt. Ephraim Baptist Church encourages women of all ages to seek Christ, study God’s Word, become Disciples of Jesus Christ, and to fellowship with each other in fun, safe, Christian environments and venues in and outside the Church. We will encourage women of all ages to use their spiritual SMARTS: strive to be Spiritual, Mature, Able, Responsible, Teachable and Sensitive woman, sharing God’s Truths that work in today’s world. The Youth/Young Adult Ministry of Mt. Ephraim Baptist Church establishes a foundation for building Christian character and acts as the voice and hand that encourages youth to change their lives to make a positive impact in the world. The Ministry responds to the social and spiritual needs of the youth within our church and community by providing and supporting relative Christian educational and social programs, activities and events in and outside the Church.